Chris Duke’s 2005 Ford F-150 gets a new wrap, paint restoration, ceramic coating, and more. Then Alan Taylor test drives the latest 2017 Ford F-150 and the new 2017 Ford Focus RS. 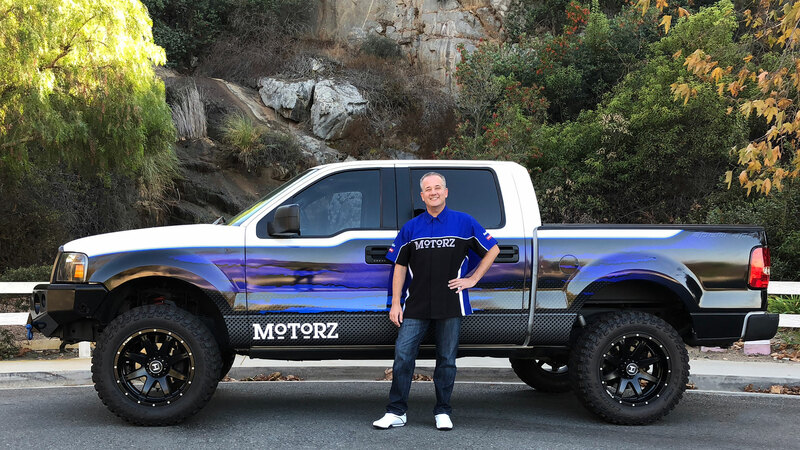 Welcome to the 94rd episode of Motorz! In this episode (S07E10, which is also the season 7 finale), Chris Duke refreshes his 2005 F-150 by taking the truck to OKI Data in Escondido, CA to get a new blue wrap from APE Wraps. Then he takes it over to RestorFX San Diego for paint restoration and ceramic coating. With an OEM paint job that is 12 years old on a truck that sits outside in the hot San Diego sun all the time, the paint was deteriorating badly. Instead of getting a new paint job, Chris had the guys use a revolutionary product called “RestorFX” to restore the paint and give it a new clear coat in minutes — all hand applied! Then, to protect it for two years without having the need for wax during that time, they applied another revolutionary product called “ClearFX” which acts as a hard shell over the paint. This was applied to both the paint and the wrap to extend the life of both. The finishing touch to the F-150 refresh was new 20″ Hostile Wheels and 35″ tires from Cooper Tires. Finally, to keep those loose floor mats down, Chris shows you how to install car mat clips from Eagle Klaw. Very cool product! And to save 10% use the discount coupon code “motorz”. Then Alan Taylor test drives Ford’s latest — a 2017 F-150 SuperCrew and the all new Focus RS!